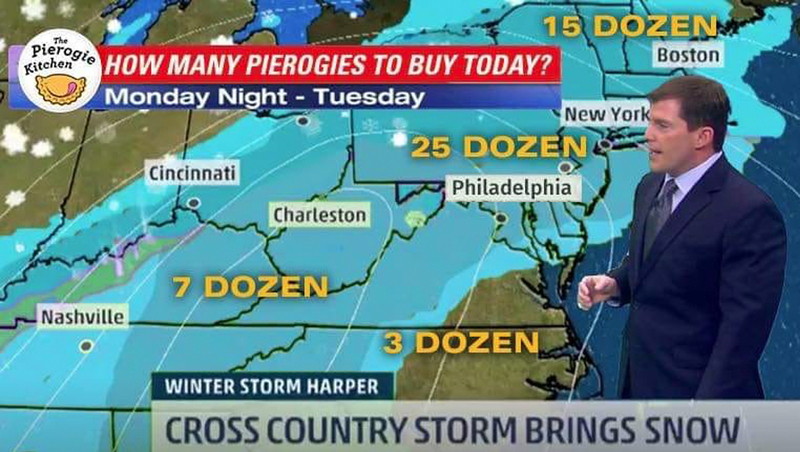 Philadelphia forecaster Chris Sowers, who posted a “wine forecast” to his social media in March 2017 (before deleting it), has been Photoshopped onto a “pierogi forecast” meme that’s been circulating online. 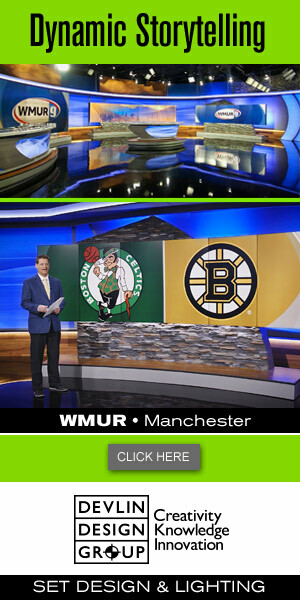 To be clear, Sowers, who works for ABC O&O WPVI, does not appear to have been involved in the creation of this map. The background behind Sowers, in fact, appears to be a Weather Channel map (given the typography and reference to “Winter Storm Harper”) with an image of Sowers’ “wine forecast” map from 2017 edited over it. The map bears the logo of Philadelphia based Pierogi Kitchen, a restaurant known for making the Central European dumplings that are popular in many parts of Pennsylvania.